Life threw something of a curveball at me during my first few days in Austin. I was only supposed to be staying with Aaron for 3 days, as he was actually flying to New Orleans on the Sunday to visit his father, which worked out perfectly because that happened to be the day I was supposed to meet Alyssa. Alyssa was a distant cousin, just a year older than me and related through some connection on my fathers side that my aunty has relayed to me a dozen times yet I can still never seem to remember. She lived in Oklahoma, and as we’d kept in touch as my time in the states grew nearer and nearer, we had made plans to meet up, although she had suggested meeting in Austin when I was there, rather than coming up out of my way to visit her in her own state. However, on Friday afternoon, as Aaron and I were nursing hangovers and eating food from one of the food trucks around the corner from his house, I got a message from Alyssa telling me her father had gone into hospital and that she wouldn’t be able to make it to Austin. Her family offered to pay for a bus ticket to Oklahoma or for accommodation in Austin without Alyssa, whichever I preferred. It was a little disappointing – I’d been looking forward to meeting my long lost cousin for quite some time now, and it was awful news about her father (although in the end he was okay), but I knew a detour north rather than my planned journey west would be a time consuming endeavour that would throw off a lot of other plans. When going over the dilemma with Aaron, he had an idea that seemed the most practical, although it was one I could never have asked for without him offering. “Well, if need a place to stay after Sunday, I’m happy to let you stay here while I’m in New Orleans. Saves me having to leave Sergio in a kennel while I’m gone, too.” In the end, Aaron’s trip to New Orleans got cancelled, so I ended up staying with him the full week that I was in Austin. But the fact that that scenario even happened was yet another amazing example of the kind and generous things that people you hardly even know sometimes do for you. I know I gush about that kind of thing a lot, but honestly, it’s a pretty heart-warming experience that ultimately changes the way you see the world. Since I’d won $150 in the strip-off in my first night in Austin, Aaron seemed determined to make the most of a Couchsurfer who liked to drink and party as much as I did. A couple of nights we split bottles of wine over take-away pizza and just chatted about our lives, sharing what turned out to be a lot of deep and personal stories and forming what turned into a pretty strong and natural friendship. Aaron also took me to a few of his other favourite watering holes around the city, drinking beers and whiskey, and meeting some of his friends to sample a seemingly endless array of alcoholic drinks that contained tomato juice. 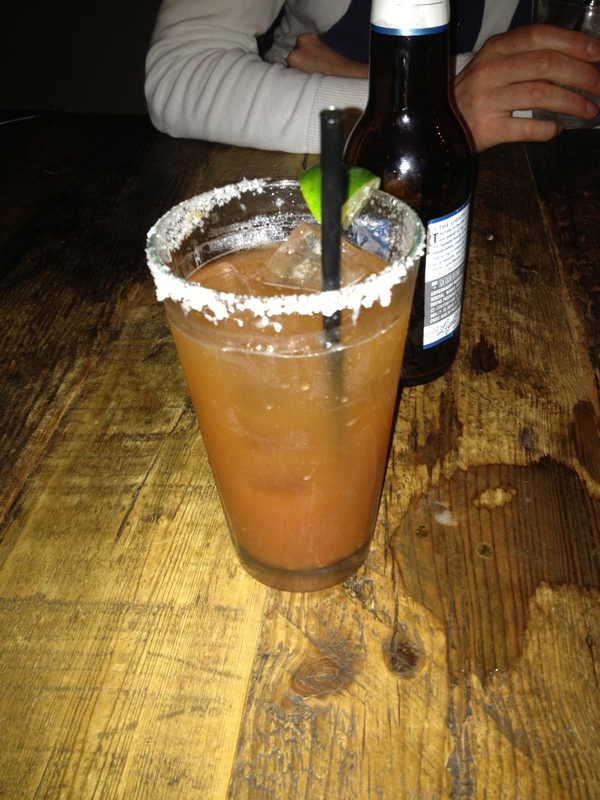 This drink was a “margarita meets Bloody Mary” concoction that was… interesting. I don’t remember it’s name though, so you know it’s good! I also got to sample some great food in Austin, mostly from the various food trucks that dominate the town. They’re all actual trucks, so technically they can move around, but I’m starting to doubt that most of them ever do, considering the great business they seemed to be doing when they were parked on random stretched of grasses in the middle of the suburbs. 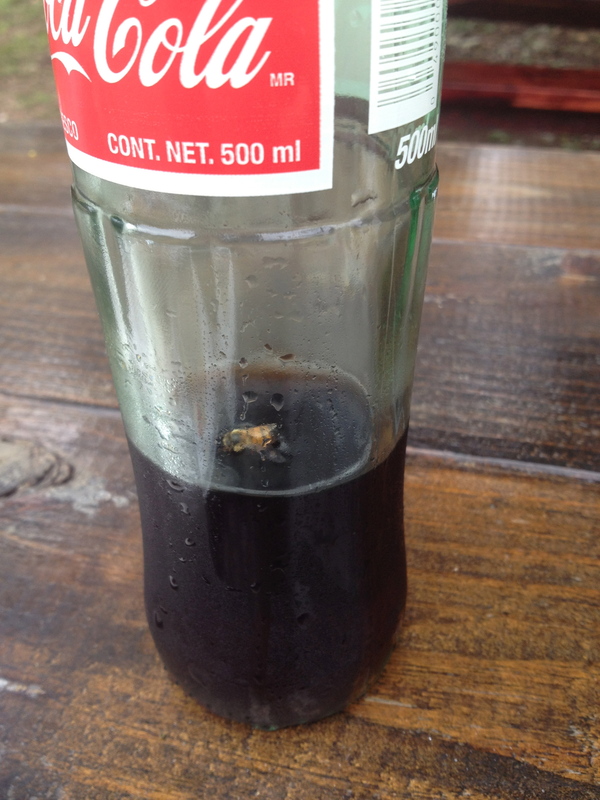 I had the most amazing pulled pork with a side of slaw, but unfortunately the only photo I thought to take was of the bee that dived into my Mexican Coke and almost tried to kill me. Benches and tables set up around the food trucks, which makes me fairly certain these trucks hardly ever actually drove anywhere. 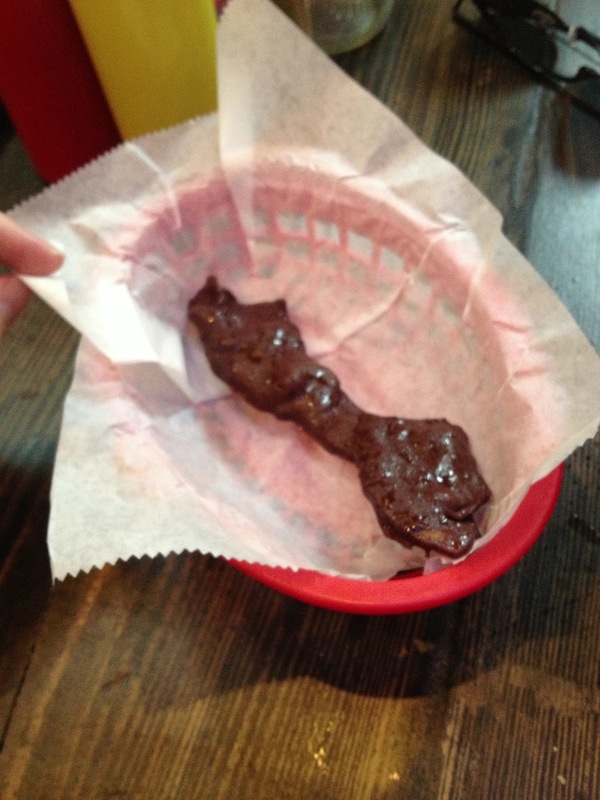 Though I have to admit, probably the favourite piece of food that I ate during my week in Austin – and it pains me to say it because I honestly though it would be disgusting, but it was actually amazing – was chocolate-covered bacon. Trust me, it tastes SO much better than it looks. I think the thing that was most noticeable was how much the local foods changed in between short geographic distances. 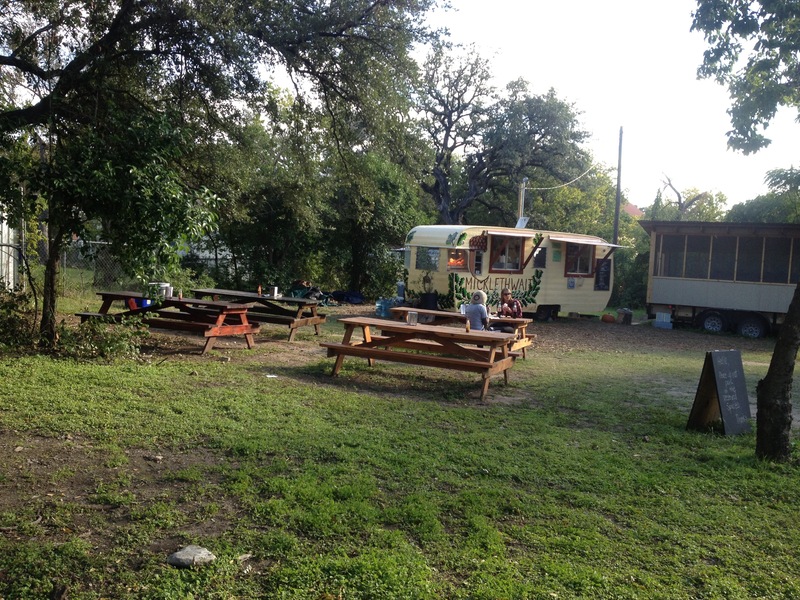 The general cuisine was so different in Austin compared to the flavours of New Orleans, but I imagine that most people who had never been through the area would assume that “The South” is just a culturally homogenous space of land, or at least never expect it to be so diverse in that sense. There was one meal I did have that was particularly memorable, but not because of the food. I had still been keeping in touch with all the friends I’d made along my journey, including Matt from Dublin, who I wish I could call a leprechaun but he’s just too damn tall. Anyway, upon hearing that I was in Austin, Matt asked me if I knew of a restaurant called Moonshine Grill, and if it was near to where I was staying. I asked Aaron, and he said it wasn’t far, just in closer to the centre of town. Matt then asked me what I was doing on Monday for lunch, and I said I didn’t have any plans, and he tells me I do now. On Monday lunchtime while Aaron was at work, I head over Moonshine Grill and make myself known to the hostess. They’ve been expecting me, and promptly take me to a reserved table, but there was no one else there. I sat down and shortly afterward a waitress came over with a cocktail. I must have looked pretty confused, because she smiled as she explained. “I believe your order has already been taken care of,” she said as she placed the drink in front of me, “but let us know if there’s anything else we can do for you.” I drank my cocktail and ate a delicious burger, and at the end of it all I found the bill had already been paid in advance, including tip. Matt eventually confessed his motives to me later. “Ah, you’re a very special lad, ya know?” he told me in a brief international phone call. “And despite all the nights we spent on the town drinking ourselves mad and stupid, I never got the chance to buy you dinner. Or lunch, or anything. I know it’s probably not the same when I’m not there, but I figure it’s the next best thing.” However unconventional it might have been, it was extremely sweet, and by now I was plenty used to eating in restaurants alone that it hadn’t bothered me in the slightest. Although I assured him it would have been much better had he been there. Just another way that the amazing people you meet on your travels are able to surprise and inspire you. There was a lot of eating and drinking going on during my time in Austin, but the Saturday night definitely takes the cake, for better or for worse. Actually, I honestly can’t remember if this all happened in one night, or if there were several more booze benders, but there were a handful of bars that provided somewhat memorable experiences. The first venue we kicked the night off in was Barbarella, although I think on that particular evening it had joined forces with a neighbouring venue to throw a huge dance party, complete with an outdoor beer garden. Despite how cold it was, we spent a fair bit of time outside since Aaron was a smoker, and I chatted to a lot of people who seemed genuinely shocked to be meeting an Australian – though a handful of them attempted to impress me with their knowledge of the names of Sydney beaches (Cronulla’s reputation from the events in 2005 has travelled further than I’d like to believe). Barbarella also distinctly stands out in my mind because none of the toilet cubicles had doors. That was very weird, and not in an alternative or arty kind of way, but in a way that made me think they’d had one too many drug problems in the toilets so they’d solved the issue by just ripping the doors off. The music was good but the party wasn’t too lively so eventually Aaron and I headed back over to the warehouse district, 4th Street, and Oilcan Harry’s. We had more strong drinks from some bartender that Aaron knew, but after a while we moved nextdoor, to a nightclub named Rain. 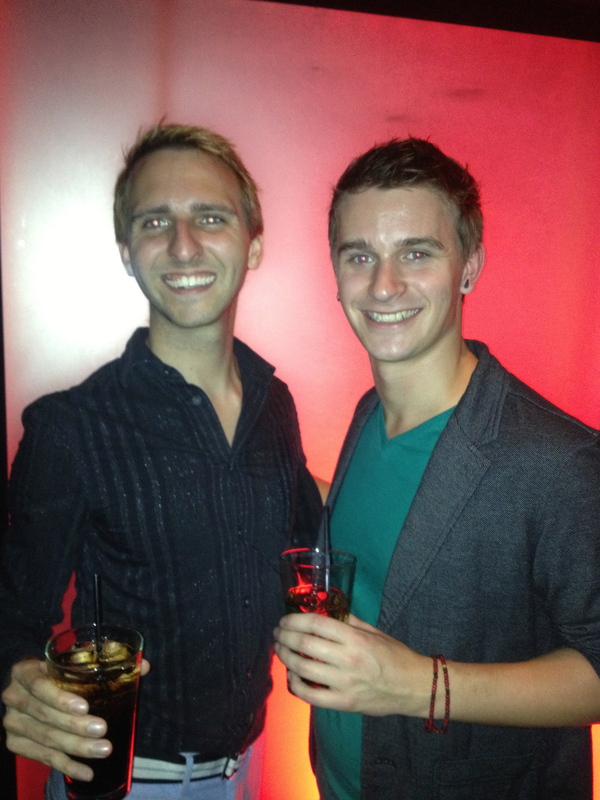 Aaron and I at Rain. The place was huge, with a long bar and a long dance floor that stretched down the entire length of the venue, and the floor had lights underneath it that gave the place a deep, colourful ambience. The place was packed too, so we jumped on the dance floor and mingled with the locals. I had half a conversation with a ridiculously good-looking cowboy – half, because I don’t think I could form words probably when I was staring into his dreamy eyes – and even ending up kissing a different boy on the dance floor. And Aaron and I continued to drink, and this is where things started to go wrong. Aaron had left his credit card at home, and at some point early on in the evening he’d run out of cash. Considering I’d just won $150 a few nights prior, I was happy to buy the drinks, and he offered to pay me back later. Now, I know that I can drink a lot and handle my alcohol pretty well, but I also know when I’ve had enough. And it got to the point in the night where I was fairly sure I had had enough. Aaron wanted another drink though. 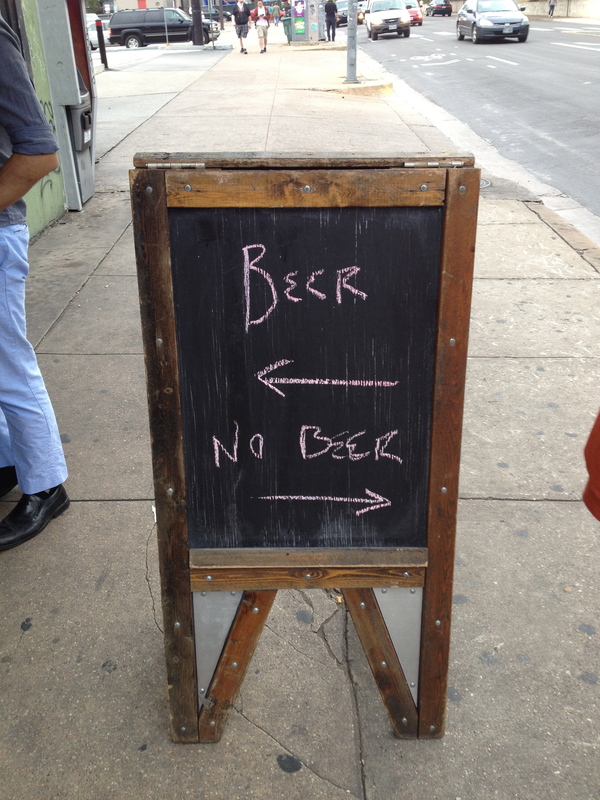 Okay, no worries, I could buy him another drink. But he wouldn’t let me not have another drink with him, so that’s how I came to be in possession of the final whiskey and Coke that would be my undoing. We danced. We drank. We partied together. We partied with other people. I kissed that other boy. I was having a good time. Aaron decided he was going to go home, and said I was welcome to share a cab with him or stay with the boy. I decided to stay with the boy. Aaron left. I danced with the boy more. But I was very, very drunk. 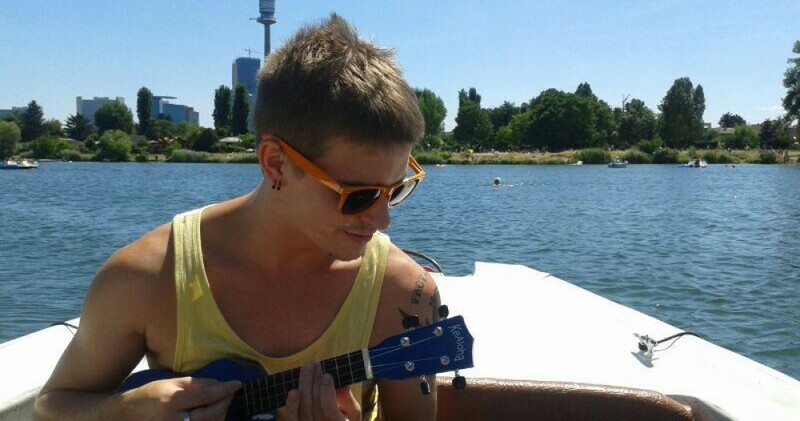 So I ended up losing the boy, and was dancing on my own. The room started spinning, and I wasn’t feeling so well, so I made my way to the bathroom. At that point I really just needed to pee, but I was so unsteady on my feet that I took the opportunity to sit down as well, so I went into a cubicle – luckily these ones had doors. I sat there with my head in my hands, trying to stop the world from spinning. Before I even knew it was happening, and before I had a chance to turn around and lean over the toilet bowl, I threw up. Into my underwear – which were still around my ankles – and all over the exposed insides of my jeans. Needless to say, I was mortified, although probably not as much as I should have been because I was just so horribly wasted to comprehend the whole scenario properly. I attempted to wipe myself clean with toilet paper, but it was a futile task, and I still felt hideous. There was someone knocking on the door. A security guard, I think. “Yes. Just… just give me a minute,” I call back, trying not to slur my words as I figure out what the hell I am going to do. The stalls starts rocking slightly, and I see a face peer over the edge of the cubicle beside me. Maybe they though I was overdoing on drugs or something. Had something like this already happened at Barbarella? Is that why their cubicles don’t have doors? In the end, I realised there was nothing else I could do except pull on my vomit-streaked underwear, buckle my belt, and walk out of that club. Or you know, stumble, whatever. Despite not having a single friend there to help me through it, I think it was made better by the fact that I was in a city where I knew absolutely no one, and would never see any of these people again. In fact, no one I knew would ever have to know that this had ever happened, except for the fact I am all about frank honesty and am, for some reason, repeating it here right now. So I opened the cubicle door, and immediately the security guard ushered me out of the bathroom. For a brief moment I thought he was going to give me some water, or take care of me or something, but he merely ushered me to the front of the club, helped me out onto the street, and then left to go back inside without saying a single word to me. Luckily it was quite late and there weren’t too many people outside, so my temporary shame was limited. I feel awful for the taxi driver who took me home, although she was very light-hearted about it and said she didn’t mind, although I’m sure I smelt absolutely vile and she was probably gagging for half the trip. Aaron was still awake when I got home. My cheap Primark shoes were covered in vomit, so I didn’t even bother salvaging them and instead threw them straight in the trash outside. Not a word was spoken when I walked into Aaron’s bedroom. We just had this sole moment of eye contact and understanding before I continued through into the bathroom and stepped into the shower fully clothed, and spent the next half hour cleaning myself, and getting as much of the stench of vomit out of my clothes as I could. And as embarrassing as the whole ordeal was, and as stupid and disgusting as I felt, it probably wasn’t even the worst thing to happen to me on my travels, so I couldn’t help but laugh at myself as I sat there in the shower, scrubbing at the denim. And even as I write it now I can’t help but smirk a little, because as awful a memory as it is, it still makes for a thoroughly amusing story. This entry was posted in Austin, North America, Texas, United States of America and tagged 4th Street, adventure, alcohol, America, Austin, australian, backpacker, bacon, bar, Barbarella, beer, chocolate covered bacon, club, Couchsurfing, cowboy, cuisine, culture, dancing, drink, drinking, drinks, drunk, embarrassing story, family, food, food truck, friends, gay, kissing, lunch, Mexican coke, Moonshine Grill, Oilcan Harry's, Plans, rain, romantic, sick, strangers, taxi, Texas, traveller, USA, vomit, Warehouse District by Tiny Tino. Bookmark the permalink.